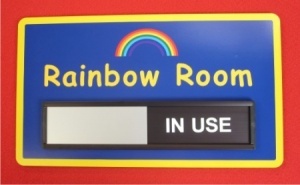 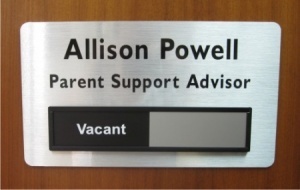 Our sliding door signs come with a stylish Black Satin Slider unit. 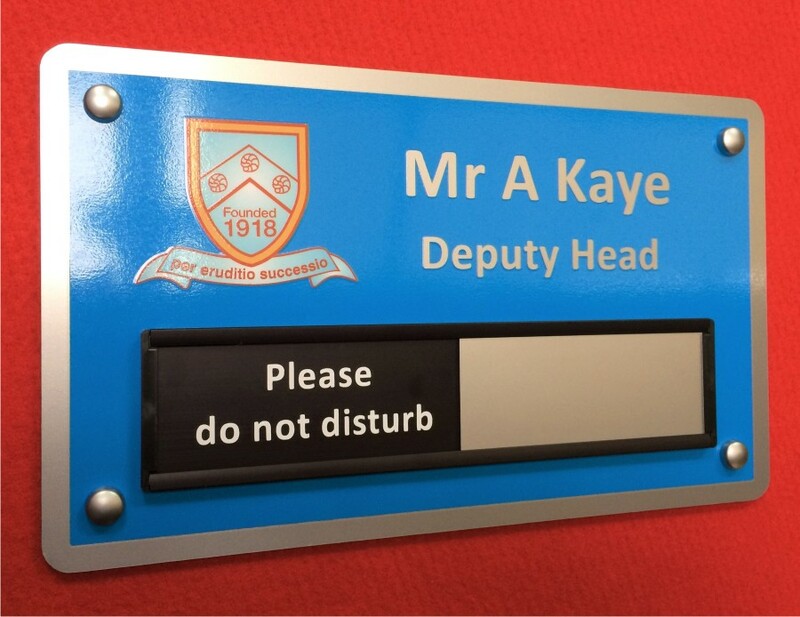 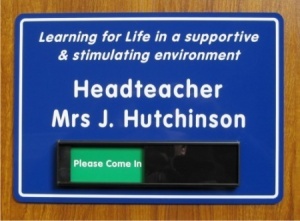 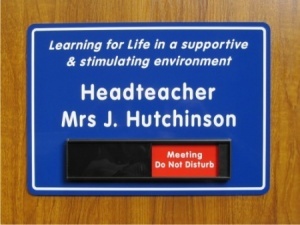 You can choose from a simple single sliding plate or a sliding plate complete with a vinyl signwritten custom backing panel. 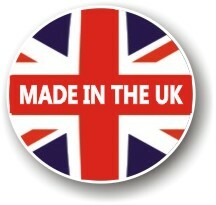 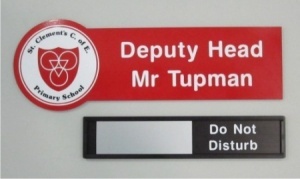 The sliding door sign with a back panel comes complete with a 297mm x 175mm aluminium composite (ACM) backing panel which can signwritten to your particular requirements. 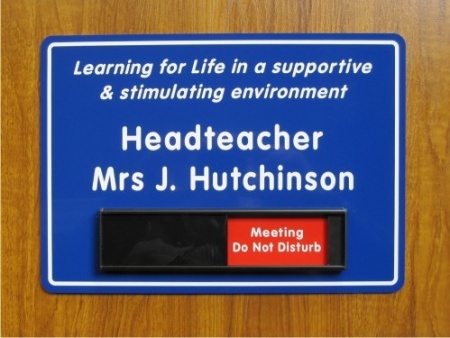 The single slider unit itself is 228mm x 57mm and is available in a stylish satin black aluminium finish. 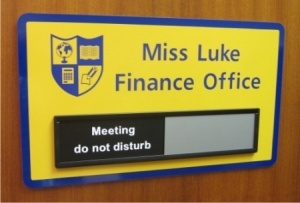 Sliding doors signs with a backing panel can be either supplied with pre-drilled fixing holes (Fixings Supplied) or with VHB tape (Very High Bond Tape) to the rear of the panel so that the sign can be securely stuck in place.